When Native Nations of the Pacific Northwest signed treaties with the federal government in the mid-1800s, they gave up some of their lands but made sure that future generations could access their "usual and accustomed" fishing and hunting grounds, or ancestral lands outside of a reservation. For thousands of years, before settlers arrived, the Muckleshoot and other Salish-Speaking Peoples of the Pacific Northwest lived off a diverse diet of over 300 different foods. As more settlers came to the region during the decades that followed, it became increasingly difficult for Native People to access their treaty-reserved hunting and gathering sites. The Muckleshoot Food Sovereignty Project was founded in 2010 to promote a return to traditional foods and food practices. Food sovereignty essentially means that a community can decide what foods they will use to sustain themselves and their cultures. To support their food sovereignty efforts, the Muckleshoot Tribe has bought back over 93,000 acres of ancestral land. Harvest and berry festivals, cultural-sovereignty classes, salmon-filleting demonstrations, sheep- and elk-processing presentations, and workshops that teach traditional food preparations are some of the many initiatives that result from the food sovereignty project. Elizabeth M. Hoover, "Muckleshoot food Sovereignty Project, Auburn WA," From Garden Warriors to Good Seeds: Indigenizing the Local Food Movement, Muckleshoot Food Sovereignty Project, October 2014, https://gardenwarriorsgoodseeds.com/2014/10/18/muckleshoot-food-sovereignty-project-auburn-wa. Valerie Segrest is the director of the Muckleshoot Food Sovereignty Project. In what ways does your community practice food sovereignty and what would happen if you could not access those foods? Before settlers arrived, indigenous people of the Pacific Northwest maintained large areas of land with diverse ecosystems . In the 1970s the Muckleshoot Tribe was confined to a one-acre reservation. Today, the Muckleshoot Indian Tribe asserts its rights as a sovereign nation and has begun to buy back ancestral land to ensure food sovereignty. Courtesy of Muckleshoot Indian Tribe. In what ways does reclaiming land increase food sovereignty for the Muckleshoot Indian Tribe? Sometimes the issue of food sovereignty can be controversial. 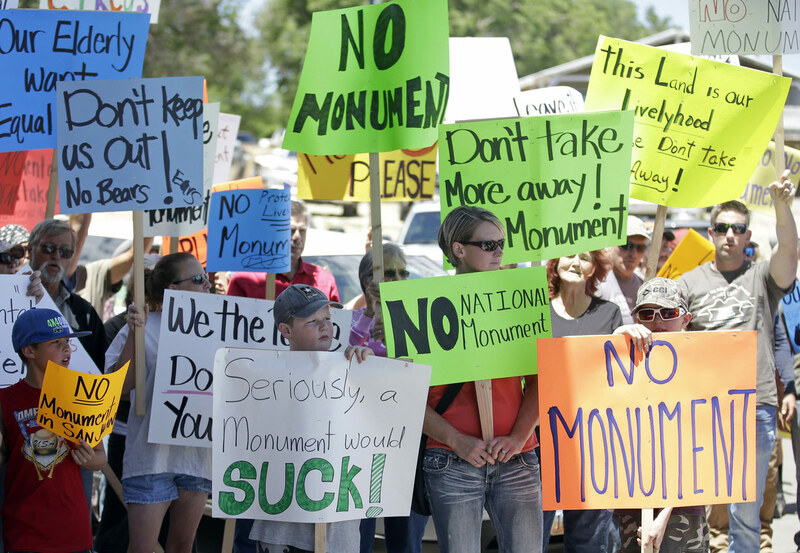 Lots of states have voiced anger over federally designated land. 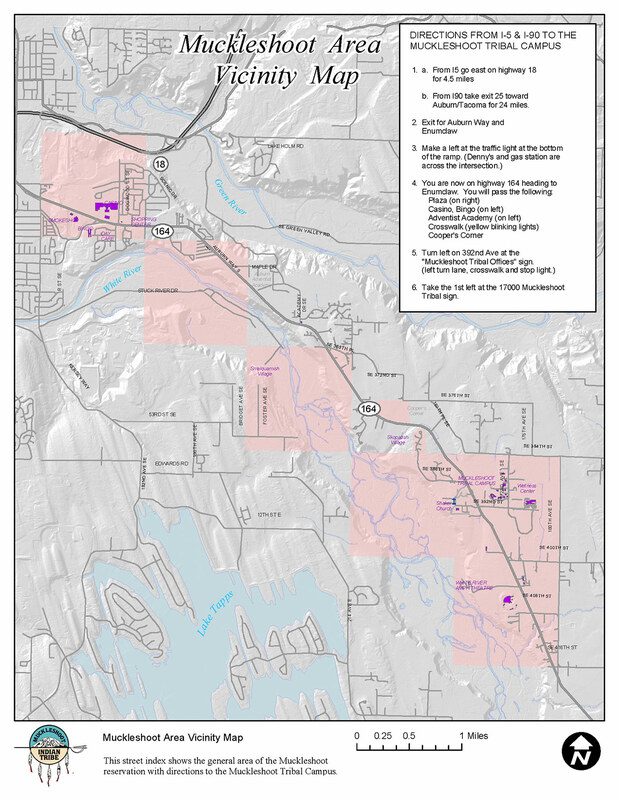 They claim that these federal lands take away from state resource development, specifically extracting of fossil fuels and other natural resources. On the other hand, many Native Nations have asked that the federal government keep its promises and protect lands that hold culturally important foods. What might be the costs and benefits of food-sovereignty movements? Are there any points of compromise between these two perspectives? "In order to overcome issues of access [to traditional foods], we needed to identify the challenges. In discussions with various tribal communities throughout the Puget Sound , numerous obstacles were identified. Some include: a loss of rights, loss of land, state and federal regulations, colonization and cultural oppression, lack of time and money, environmental toxins, and lack of education." Valerie Segrest, "Muckleshoot Food Sovereignty Project," Feeding the Spirit: Revitalizing Northwest Native Food Culture, https://feedingthespirit.wordpress.com. Courtesy of Muckleshoot Food Sovereignty Project. Bears Ears National Monument in southeastern Utah is considered sacred to the Southwestern Tribes, including Hopi , Ute , Navajo , and Zuni Nations, in part because of foods and medicinal plants that grow there. However, Bears Ears also has potential for energy extraction, mining, and ranching that could bring economic benefits to the area; hence the private industrial efforts to shrink the size of the monument. National monument status protects tribal access to traditional foods and medicinal plants as well as federal and tribal comanagement. For further information, see "Bears Ears Inter-Tribal Coalition Condemns Zinke Recommendation to Eviscerate Bears Ears National Monument," Bears Ears Inter-Tribal Coalition, https://bearsearscoalition.org/bears-ears-inter-tribal-coalition-condemns-zinke-recommendation-to-eviscerate-bears-ears-national-monument. 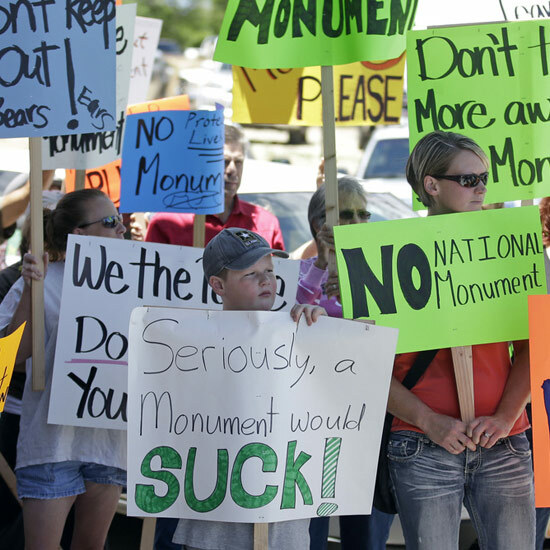 Push for Bears Ears monument marks latest Western land fight, July 14, 2016. Photograph by Rick Bowmer, courtesy of Associated Press. The Muckleshoot Food Sovereignty Project carefully maintains a two-acre orchard that boasts dozens of varieties of local fruits, all planted by hand without use of machines. Raised garden beds provide traditional foods that are harvested and prepared in lunches for Muckleshoot elders. 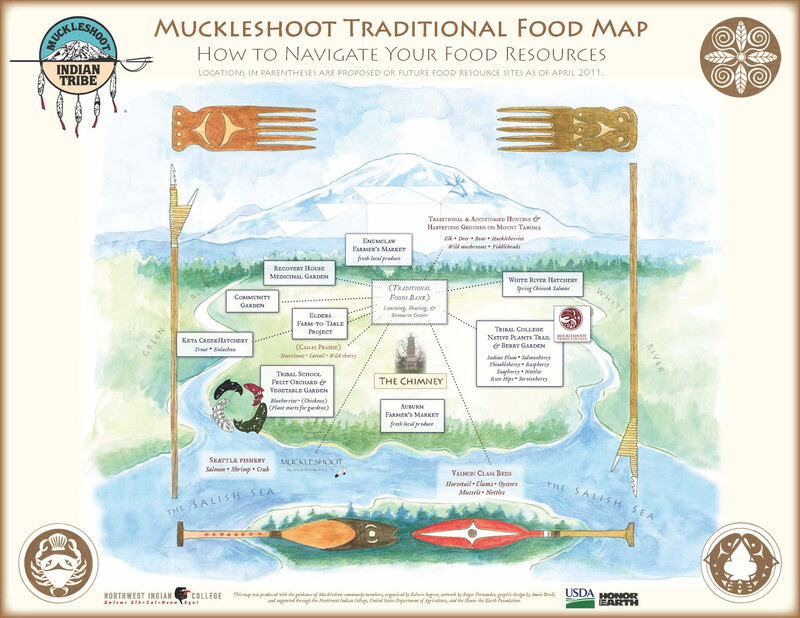 What kinds of actions are the Muckleshoot Indian Tribe taking to practice food sovereignty? 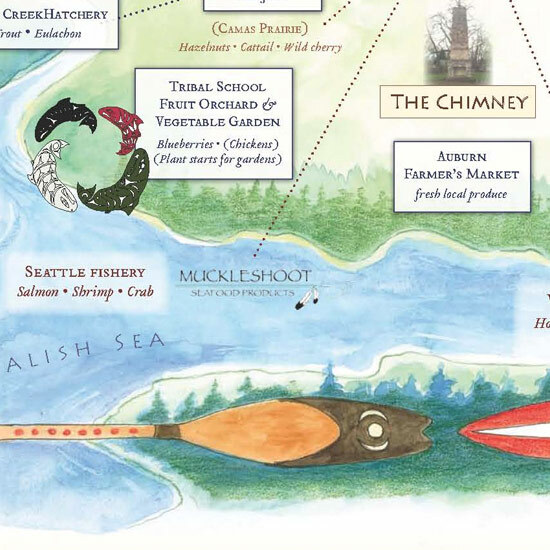 How does the Muckleshoot Food Sovereignty Project view its people's relationship with the land? "A reality for a lot of tribal communities is that access to food that we actually need in order to heal ourselves from diseases like diabetes and heart disease is challenging. For the Coast Salish people, our traditional foods are physical, mental, and spiritual medicine. That means that when we are actively on the land in pursuit of wild game, or fishing the river, or harvesting foods and medicines with good intention, and then generously sharing those with people, we are gifted with memories . . . both new and those of a distant past. Those memories are the medicine, that is what we are looking for." Traditional foods support physical, mental, and spiritual health. 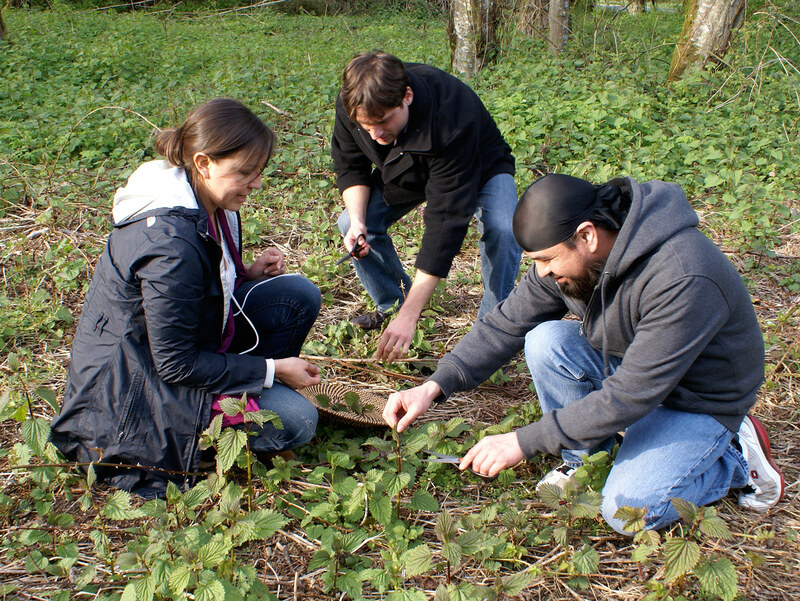 The Muckleshoot Food Sovereignty Project works to help strengthen the ' cultural connection to both food and land. How does Valerie's quote address the question, "Why do the foods we eat matter?"